Welcome to another edition of The Great PPVs - whether you're reading this via our friends at TheGorillaPosition.com or at our own site Enuffa.com, I hope you're enjoying this series thus far as we look back on some of the all-time great wrestling shows. Since it's February I thought I'd take a look at one of the old NWA's greatest offerings from the 1980s, Chi-Town Rumble! This one-time PPV took place on February 20, 1989 (a Monday night for some reason) and is most remembered for its critically acclaimed main event that launched one of the greatest rivalries in the annals of the business. But this show had a damn good undercard as well, with most of the company's major titles on the line and a some big feuds resolved. Chi-Town Rumble served as an excellent sequel to the previous year's Starrcade (for my money the 1988 edition was the best of the bunch), while also kicking off what was pretty universally considered the greatest year in the company's grand history. The show got off to a slow start with a pair of undercard singles bouts. First up was the returning Michael Hayes facing one of the Russian Assassins. This match oddly got nearly sixteen minutes despite being little more than a showcase to re-establish Hayes as an upper midcard babyface, but it was largly inoffensive. It was followed by another pseudo-showcase match for Sting, who went over twenty minutes against Butch Reed, with better results. Neither of these matches is terribly important or all that memorable except in building up two future singles champions, but from the third match on the show never faltered. The first of five good-to-great matches pitted The Midnight Express and Jim Cornette vs. The Original Midnight Express and Paul E. Dangerously, with a Loser Leaves the NWA stipulation (Unfortunately Dennis Condrey had jumped the gun and left the company before this event, and utility man Jack Victory replaced him). Like the MX vs. OMX match at Starrcade, this was a wild, fast-paced affair with the added bonus of the two managers scuffling. After almost sixteen minutes the babyface Midnights scored the pin after a double flapjack to Randy Rose. While not quite at the level of the Starrcade bout, this was a very entertaining match and a good blowoff to the feud. Another feud reached its conclusion with the first title match of the night, TV Champion Rick Steiner vs. Mike Rotunda, also a Starrcade rematch. These two had another scientifically sound, grappling-heavy bout fitting of their Varsity Club gimmick, but this time Steiner's relative inexperience got the better of him, as after locking Rotunda in a sleeper hold, Rotunda fell backward on top of Steiner long enough to pin him and regain the TV Championship. Not long after this, Sting's push began in earnest as he would defeat Rotunda for his first singles title, while Rotunda and Steiner would each form new tag teams. The third rivalry to climax on this show, former friends-turned-hated enemies Barry Windham and Lex Luger clashed for the US Title in a blowoff nearly a year in the making. In 1988 Luger had turned babyface, leaving the Four Horsemen and forming a tag team with longtime Horsemen rival Windham. The pair won the NWA Tag Titles that April but lost them weeks later when Windham turned heel and joined the Horsemen himself. Luger spent most of that year feuding with Ric Flair, never really getting revenge on the man who had screwed him over. Now was his chance, and this match turned out to be an intensely heated brawl. Windham dominated the second half of the match but missed a punch outside the ring and hit the post instead, injuring his valuable Claw Hold hand. Luger gutted out the rest of the match until Windham hit a back superplex, inadvertently pinning himself when Luger got a shoulder up at the last second. As a kid I loved this feud and the match - while it hasn't aged as well as others, I'm still a big fan of both guys' work from this era and would've loved to see a rematch. Sadly Windham left the company for the WWF very soon after, and when he returned in 1990 the NWA never really followed up on this one. The penultimate match on this show saw the World Tag Champions vs. the US Tag Champions, as The Road Warriors were challenged by Steve Williams and Kevin Sullivan. At a rather truncated eight-and-a-half minutes, this power brawl wasn't anything fancy, but it featured plenty of hard-hitting action and a chaotic finish; Animal kept Williams at bay as Hawk leveled Sullivan with a top-rope clothesline to retain the belts. The Varsity Club would have their revenge only six weeks later at Clash of the Champions, as Williams and Rotunda captured the titles with the help of crooked referee Teddy Long. Solid stuff here. 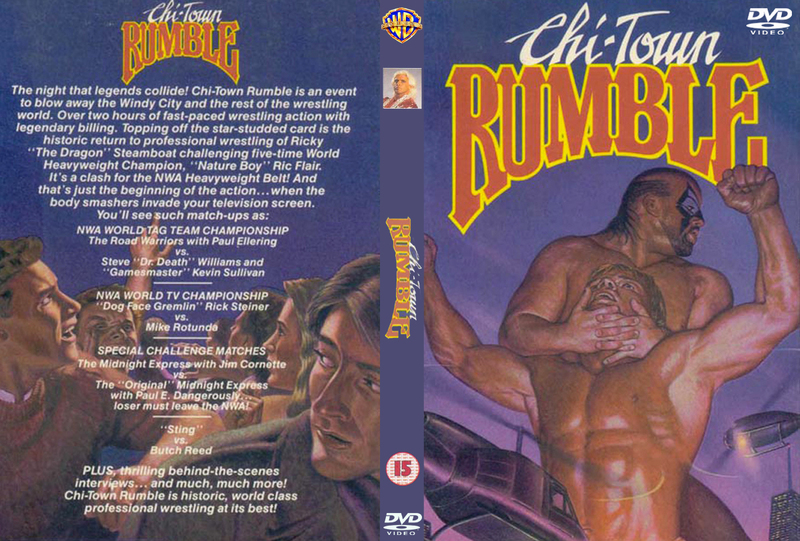 Chi-Town Rumble's undercard was a pretty strong night of wrestling, but its status as a great PPV stems mostly from its legendary main event: Ric Flair vs. Ricky Steamboat for the NWA World Title. The 1989 Flair-Steamboat trilogy is required viewing for any self-respecting wrestling fan, and this is the incredible first chapter. Flair and Steamboat complemented each other so perfectly and managed to make the complex action look effortless each time they locked up. Steamboat dominated the ground-based first third of the match but Flair took over after attacking Steamboat's knee, eventually locking on the trademark Figure Four. Steamboat then mounted a comeback and appeared to have the match won after a flying bodypress off the top rope, but referee Tommy Young was knocked down during the move. Flair attempted to take advantage, going for another Figure Four, but Steamboat rolled him up in a small package as secondary ref Teddy Long made the three-count. Steamboat had ended Flair's 15-month fifth title reign and the UIC Pavilion exploded in cheers (One thing that's really striking about these old NWA shows is just how white-hot the crowds were; man did they love their wrestling). The returning hero had vanquished the company's top heel for the time being. Flair and Steamboat would wrestle twice more for the title, delivering two more five-star classics at Clash of the Champions and WrestleWar '89 respectively. For my money the latter ranks as the Match of the Decade, but this first one isn't far behind. 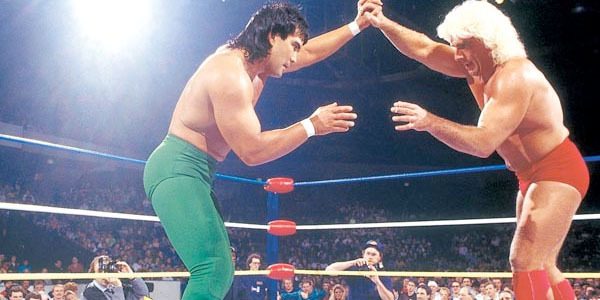 Flair and Steamboat were tailor-made to wrestle each other, and this Chi-Town Rumble main event serves as Exhibit A. While not as unanimously revered as the 1989 Great American Bash PPV, Chi-Town Rumble nonetheless is a close second place for me as one of the best PPVs of an incredible year for the company. A sublime main event, four very good undercard bouts, old feuds resolved, new feuds ignited, and an electric atmosphere make this a frequently viewed time capsule from a time when I was quickly "smartening up" as a wrestling fan. I'd invite you to go back and take another look! 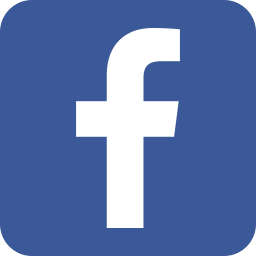 Thanks for reading - don't forget to join us on Facebook, Twitter, MeWe and YouTube!